Please call for more information on our Amish handcrafted Living Room Furniture. This 54" Shaker Corner TV Stand is proudly made in the USA! 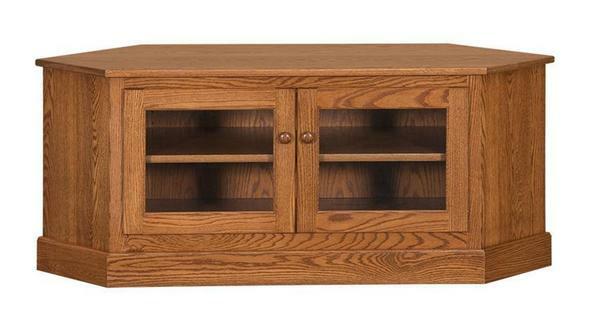 Choose from Oak Wood, Cherry Wood or Brown Maple for this beautiful entertainment center. There is one adjustable shelf inside the cabinet doors. Searched the web for an entire afternoon looking for a stand for our new widescreen TV. Finally came across this DutchCrafters piece. it cost more than the TV, but was worth it!